My Ear is to the Ground. 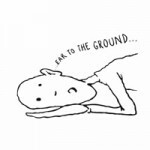 Believe it or not, though I live in Ohio, I still keep my ear to the ground. So, Scotty Boy, aka Scott Stradley, will no longer be serving on the Utility Board due to his move outside of the City. I guess that means he is no longer going to have the ability to serve the residents outside of the City while serving on a City Board. It will be interesting to see who Councilwoman Turner will replace him with. So, what else is the Scotty boy doing? Well, I heard or read that he apparently has a few short term rentals in the City of Vero Beach downtown area. He must think he is above the fray when it comes to short term rentals. Just saying. BTW, has anyone looked into Commissioner Bob Solari’s rental properties that are in the County? Maybe he is doing the same thing. If he is doing short term rentals that might be the reason he votes to allow them to occur in the County. 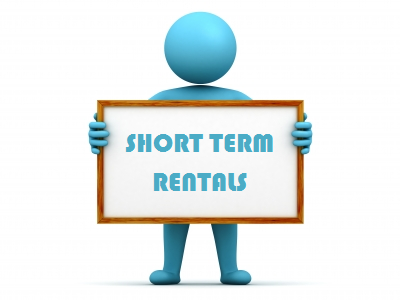 There are a lot of residents at risk by having a short term rental as a neighbor. If the Salami is not doing short term rentals you probably can assume that some of his big dollar campaign donors are guilty of doing so. Oh well, I am just thinking out loud. Larry Reisman say’s that “in 2013 city residents voted to sell the electric operation to Florida Power & Light Co. It’s time to put that issue to bed — it’s been discussed for more than 40 years — and get it sold”. Yep Larry, it is time to put that issue to bed. 40 years and millions of dollars later the issue has been put to bed. It is not possible to sell the Electric Utility because of the iron clad contracts that are in place with the Florida Municipal Power Agency so…all of you idiots who still think a sale is possible….get over it. It’s not going to happen. The sales agreement that the old Troika of Carroll, Turner and Fletcher signed is not worth the paper it is written on. The best news is the fact that Vero Beach City Council has finally voted 4-1 to put the public comments at the end of the meeting with the Redheaded Hen dissenting. It’s about time. The only thing left to do now is to cut the cameras after the business meeting and let all the gadflies rant and rave with NO TV audience. Putting these talking heads at the end of the meeting will allow city business to be conducted without the rants of 30 day Wilson and the Brian and Joe duet. If it is true, what I have read, that Scotty Boy has short term rentals he must be held accountable like all other residents. 30 day Wilson has backed some winners in his time, but has also backed some big losers. The biggest loser he ever supported was himself when lost in his quest for a Vero council seat. He slid in the polls faster than firemen slid down poles in two story firehouses. Way to go Chuck. I stepped into City Hall for the first time in years last week. After using the Rest Room I noticed the plaque on the wall with the list of all previous Council Members, including Hon. Charles Wilson. Comments? Jim, every time he is introduced in the media they always say…”former city councilman, charlie wilson” It’s not my fault that he is revered by the media. I personally think that someone who was kicked off council by a judge after only serving about one month should not be considered a former councilman. I’m sure Mr. Wilson counts that as one of his life achievements, even though the achievement was gotten illegally. Jim, you are correct about 30 day Wilson. The once removed and once defeated ,for the Vero city Council, should say it all. He prides himself on campaigning for some victorious candidates, but he couldn’t get himself elected.I have forgotten all the other election contests he has been in and lost them all. Way to go Chuck. Cruz’s campaign has been so negative, so laden with lies, one could be excused for wondering if Wilson is on the Cruz team, helping the Texas Tea Party darling slime his way across the country. Regarding Scott Stradley’s short-term rental, I am currently trying to determine if the property in question is zoned commercial. If it is, then Stradley may have every legal right to operate that property as a transient boarding house, so long as he has obtained the necessary licenses. I’ll let you know what I learn from the Planning Department. Mr Stradley is no longer involved in the Utilities Commission, disqualified as a non resident of the VB service area. I presume anyone inquiring into his compliance regarding zoning, tax remittances,licenses and legality has addressed the issue with COVB, and importantly, spoken to him directly. If Mr Stradley – or any private citizen – is circumventing the law, so be it; if not, one should take care before conjecturing. In my experience, due diligence is focused prior, not after allegations are proffered. A tenant of law is innocent before found guilty; not guilty before proven innocent. Stradley has two short-term rentals on the airbnb.com website. He has always claimed he has two utility meters on the building he’s using the short-term rentals for, one for commercial and one for residential. My guess is these units are those two residences…One is commercial and one is residential. I would also guess Mr. Stradley doesn’t have a business license to operate the possible legal one. There is no excuse for the residential unit. Those are simply my two cents. Everyone must obey all laws if we are to maintain a civilized culture. I hope everyone involved in the rental business conforms to existing laws and codes. This certainly would make life a lot easier for all. “Some may be persuaded that a County, State or Federal Government may be more knowledgeable, efficient and situated to best serve its taxpayers, businesses and residents than municipalities who are closer to the people” says Peter Gorry in an earlier post. Yes, it appears that a municipality is closer to the problems and issues than, let’s say, the County government. Take for example of the City of Sebastian. It appears that they are ousting the Mayor because his philosophies are not in line with the rest of the council. Or did he resign because of that? Can you say Bob Solari? Imagine the County Commissioners ousting one of their own because they did not agree with their Chairman. LOL If this is good for a muni why not let it be good for the County? Just saying. Couldn’t agree with you more on Cruz, what a slime ball. No comment on Mr. Wilson, I don’t know that much about him. Typical huh, nobody pays much attention to local politics, probably as important as the national scene. Seems like nobody cares much about short term rentals unless it’s somebody on the council. I probably wouldn’t want one next door to me either though. Seems like a constant: the ones responsible for making the codes and laws are many times the ones who choose not to abide by them. Vero Beach Planning Director Tim McGarry confirmed today that Scott Stradley’s properties are within the Downtown District, and can be legally offered as short-term rentals. According to McGarry, Stradley has the necessary licenses. Further, McGarry said Stradley checked with the planning department before offering his properties for rent. Posting a link to Stradley’s rental listings on Airbnb, as a local “news” aggregator has done, without at least making an effort to answer the question raised, is not exactly responsible journalism. Thanks Mark…so, apologies to Scotty Boy. Sounds like he is legal and that says a lot for him but I still think it was right to remove him from the Utility board because he no longer lives in the City. Mr. Stradley’s property, as far as I know is right in the middle of anything goes land. There is commercial, slum, retail, school, social services, motorcycle classes, restaraunt. 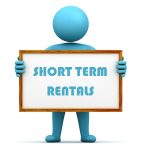 If anywhere is zoned for short term rental, it is there. The news on Mr Stradley’s rental is good news for all. He did it the right and that’s the way it should be. Am I seeing that Pilar Turner has put Rock Tonkel on the Utility Commission? Is he a city resident? Rock was an early cheerleader for FPL and claimed to represent the whole of Grand Harbor, that’s what I recall. Utilities expertise?? Not sure. Anyone? Mr. Tonkel lives in Grand Harbor. I’m sure he’s a Vero Beach utility customer. At this point, would it kill her to just name a city resident. She is like a spoiled child. Commission members should be users of all the city utilities. This is pure politics and it is disgusting. Pilar Turner is no friend to her home city of Vero. Always looking outside the city because she will seek a commission seat in the future. She hopes to succeed Bob Salami one day. Can’t forget her asking all Vero Electric users to pay up $26,000,000 to sell Vero Electric,even though a sale is not possible because of long term existing contracts. Keeping the sale issue alive is one of the ways she uses to get re-elected. She appeals to low information voters with this worn out issue. I believe if she had her way there would be no COVB. There are three VB Utilities, VBE, W/S and Solid Waste. Indian River Shores has 3200 residence customers in VBE, 4000 total in W/S and a member, by ordinance, appointed by IRS. Neither have any S/W customers. There are 11200 VBE res customers, 13500 total W/S and 8700 SW in the COVB. Total of all IRC customers outside IRS is 18400, within COVB total is 33400. The W/S STEP System replacing 1500 septics,over time, applies only within COVB. Further, under study is the need and prospective funding of a potential StormWater Utility which in a preliminary report would apply to all land use,public and private, for over 10000 properties within the City limits. As of year end 2015, both the Chairman and Vice Chair of the UC were not City residents.Members of the Finance Commission must be City residents. The UC and FC are advisory volunteer Commissions providing recommendations to the CC for decisions. Would another Indian River Shores resident also qualify for the commission, based on the same criteria. They are Both on city electric, and actually the IRS resident could also be on city sewer.Could Brian Barefoot be appointed to our utility commission by Mrs. Turner? Each Council member appoints one, the CC of IRS appoints another and one member is elected “at large” by the COVB CC. The only restriction is that a member live in the COVB Utility territory.Currently two members are from IRS (both highly qualified). There are many IRC customers who have VBE but not W/S and a small number who have W/S but not VBE. Mrs Turner, or any Council member may appoint someone who resides in either the COVB VBE or WS service areas. Thus, theoretically, a minority of the UC could be City residents. To clarify data, about 8500 Non City customers have both VBE and W/S compared to 12000 customers who live in the City. Solid Waste has 8700 customers, all in the City. Richard Gillmor is told by his fellow councilmen that he is inept as Mayor of Sebastian so he decides to run for County Commission? I guess Sebastian politics is beginning to look like old times. BTW, I think all County Commissioners should be vetted regarding their positions on short term rentals. The timing of the Gillmor removal will go down as one of the greatest blunders of Indian River Politic History. Stay home Hill you aren’t going anywhere. So, all the members of the Utility commission could reside outside the city, as long as they were served by either Vero Beach Electric or Vero Beach Utilities for water? This is assuming that each council member appointed a non city member and they also choose a non-city resident at-large. Is there any representation from the South Beaches? It’s amazing that,while all ready set up as a potential hostile takeover, Mrs. Turner tries to push the envelope even further. Let’s take a good hard look at this, Council. You get what you vote for. Turner has been elected two or three times and her MO has not changed from word go. Someday the citizens of Vero will she her for what she really is, and then and only then, will this phony be kicked off the council. She is not the first anti COVB councilman to be elected; the first would be the pompous Bob Solari. The same Bob Solari who is the friend of Short Term Rentals.Look at the Short Term Committee he put together. It says it all! I heard Joe Earman had a successful gathering last night. I heard the place was packed. Mr. Wilson was disqualified after being seated on VBCC, wasn’t he? Hardly a regular ‘former’ City Council person. But maybe my memory fails me. What would our millage rate go to if the South Beach would annex. Are there any downsides for the city, being that we all ready supply their utilities. This should have happened way back in the 80’s. It makes no sense why the south beach would not want better protection and much more stringent zoning enforcement for the minimal increase in their total taxes. And a lot of animosity would go away. South Beach sounds like a good idea except for the fact that a certain doctor with all the wrong financial numbers would become a COVB resident. And he would be welcomed as a resident, but not as a consultant. Today, the FL PSC unanimously upheld the position that Electric Territory designation is superior to local franchise agreements. It seems COVB will be expending additional legal fees (which are added to VBE rates) as the County and IRS appear committed to pursue their challenges through the courts. For every $1M COVB expends in legal expenses, rates are increased by over 1% for all customers. Should the law suits succeed, and VBE be forced to sell, then VBE would be entitled to fair market value, including compensation for stranded assets,contingent liabilities and future revenues since the entire system was constructed and predicated on its current customer base. In the case of a forced sale, I would be very concerned if Pilar Turner and Harry Howle decide what fair market value is. Remember these two politicians are committed to a sale at any price. It was not long ago when Pilar Turner wanted to have ratepayers pay $26,000,000 to complete the sale.